I’m one of those people who actually loves salads. I could eat them for every meal, and I find them especially refreshing during the hot summer months. 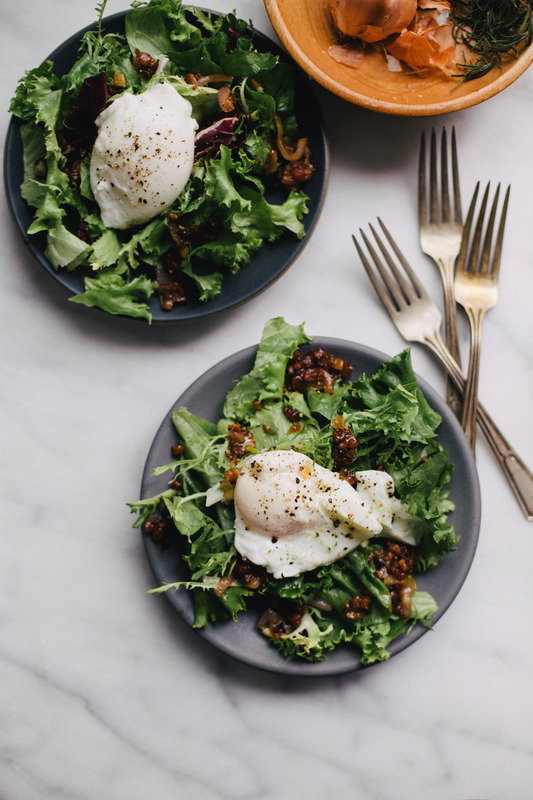 I recently rediscovered the lyonnaise salad and am now obsessed. 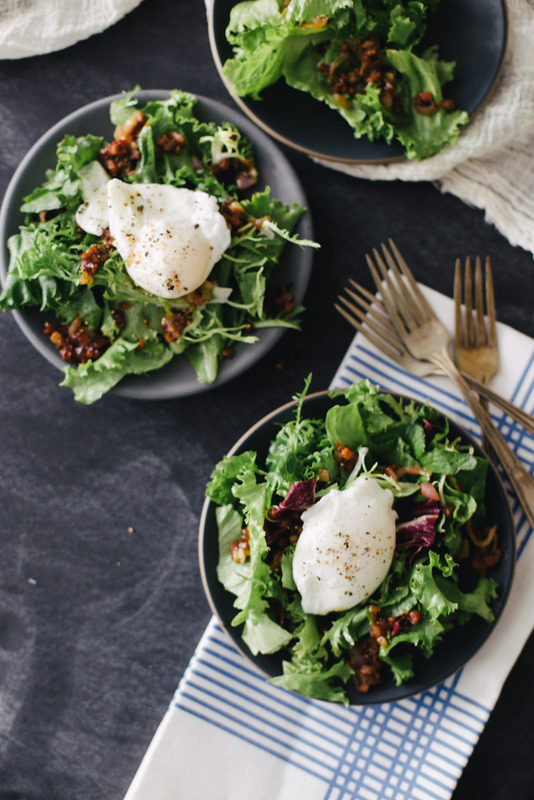 With rich pancetta, slightly bitter frisee, tart balsamic and an oozy poached egg, this salad marries simple flavors into a truly delicious salad. 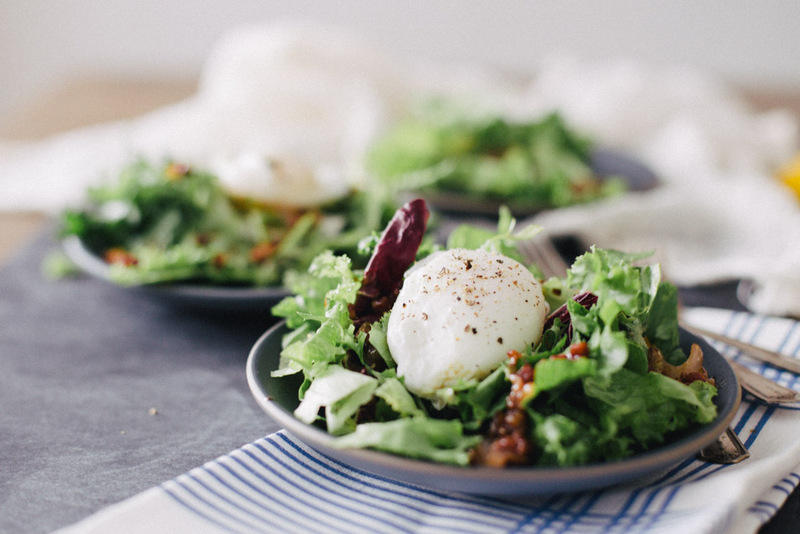 It’s the perfect salad for a weekend brunch when you’re craving something rich but not too heavy. Enjoy! Heat olive oil in a skillet on medium heat. When it’s hot, add the pancetta and cook until it’s brown and crisp. Add the shallot and cook until it’s soft. Add in 2 tbsp of the vinegar and the mustard and let it come to a boil while stirring. Turn off the heat. 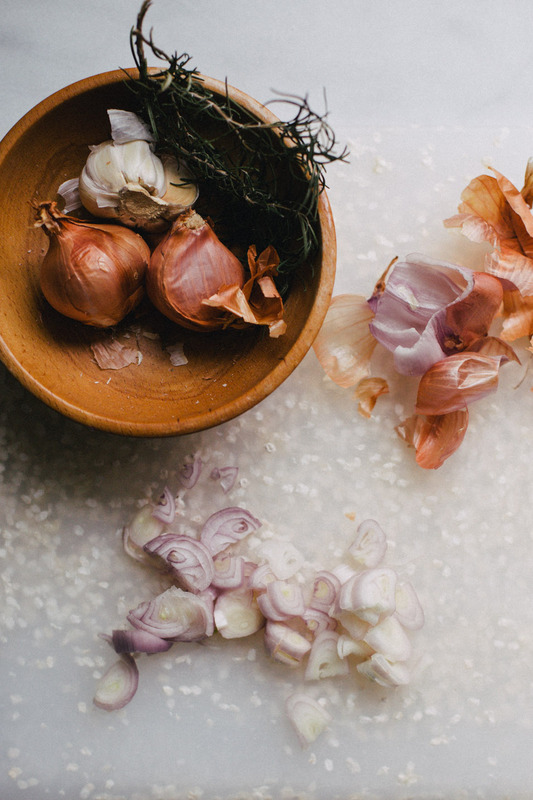 If you tend to like your salad dressing a little more tart, add another tbsp of sherry vinegar. However, try it before you do to ensure it’s to your taste. 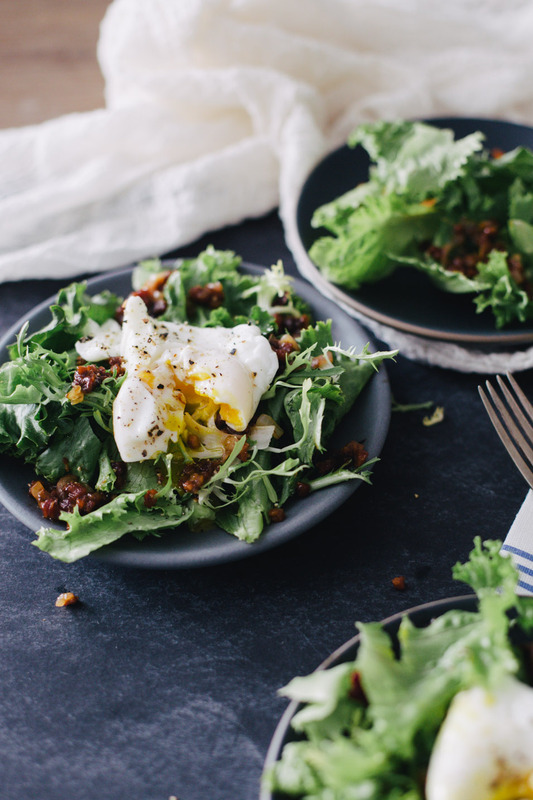 Put the salad greens in a large bowl and drizzle with the dressing and pancetta. Add croutons if you choose to have them. Add salt and pepper to taste. Portion onto two plates and top salads off with a poached egg.